Last night I saw my favourite band, Modest Mouse play at Melkweg (The Milkyway). And Damn, without a shadow of a doubt they rocked the house! Played all my favourites. I was in music heaven. Below is a music video of Dashboard, off their new album, We Were Dead Before The Ship Even Sank. 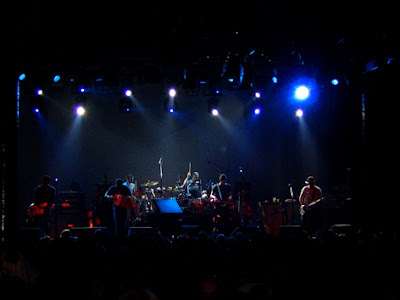 Modest Mouse have their own blog too, nice pics, check it out.